There is a demand for the BrahMos missiles in many countries. 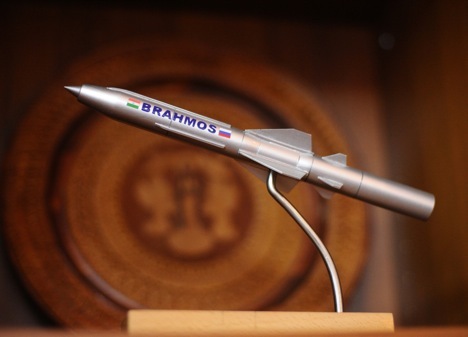 The Indian Armed Forces aim to purchase more BrahMos supersonic cruise missiles in years to come, a spokesman for the manufacturing firm BrahMos Aerospace Limited told Sputnik on the sidelines of the Army-2016 military forum on Tuesday. "Yes, definitely, there will be more BrahMos production in the Indian Armed Forces, BrahMos is a world-class weapons system and there is no equivalent in the world today. Speed, precision and power — all exists in this system," Praveen Pathak said, when asked whether the army was expected to request more BrahMos missiles in the coming years. According to Pathak, there is a demand for the BrahMos missiles in many countries. "And we have enough production capabilities to supply those countries friendly both to Russia and India," the spokesman said. The Army-2016 forum organized by the Russian Defense Ministry kicked off earlier in the day and will last through Sunday. The forum is held in the military-themed Patriot Park in Kubinka near Moscow and in a number of locations in Russian military districts.